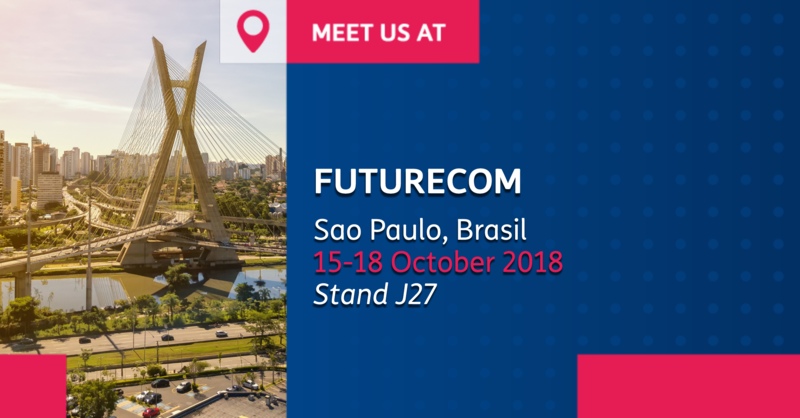 Meet us at Futurecom in São Paulo, Brazil, on October 15-18. Our delegates will be happy to meet you and present our wide portfolio of solutions designed to support your business. Contact us to arrange a meeting with our representatives and follow us on Twitter during the event. Futurecom 2018 will take place at São Paulo Expo, Rodovia dos Imigrantes, Km 1,5.